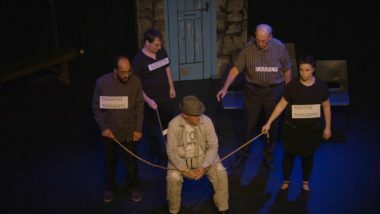 A UNIQUE play devised by individuals all living with mental health conditions was staged in Louth as performers looked to raise awareness of the often-taboo subject. Among the group that made up the ‘Unordinary Ensemble’ performance of ‘1 in 4’ were people with 19 varying mental health conditions including autism and Asperger syndrome, depression, schizophrenia and OCD. One individual had also suffered the trauma of domestic abuse. 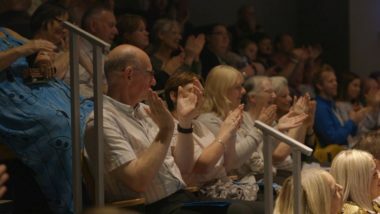 Together they have been attending weekly sessions of the year-long Unordinary Ensemble project and the two-night play at Louth’s Riverhead Theatre was the culmination of their year. The project was organised by the community arm of the Magna Vitae Trust for Leisure and Culture, which runs the main leisure services, fitness suites and centres across East Lindsey. Funded by the Mental Health Promotion Fund which is managed by Lincolnshire Partnership NHS Foundation Trust, the sessions have been running in Louth and Skegness, looking to use drama, movement and voice as a way of managing and dealing with mental health conditions. 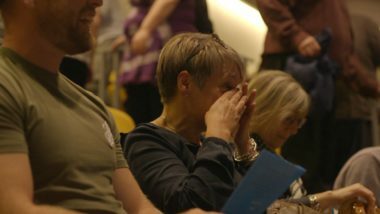 The play itself, which was watched by NHS professionals and those from support services, depicted the journey of someone living with mental health conditions and how the individual is perceived by others, and how they deal with the condition themselves. Project co-ordinators Katie-Louise Green and Lizzie Atkin have been working with the group for the year and have been delighted by the progress made. “Talking about mental health, despite the increased awareness recently, is still not something that will naturally come up in conversation and some people will understandably not wish to deal with a situation as they may not want to take responsibility. “A play like this has the aim of helping the audience to connect. When we started we did not know how the whole process was going to evolve, it has been very organic, using the medium of theatre and movement to connect in a very different way. We have been delighted with how it has gone,” added Katie. For participants, the project and theatre performances have taken them on a very positive journey. Liam Rigby was an adult before becoming aware that he was living with Asperger syndrome. The diagnosis saw his life become clearer and enabled him to join projects like Unordinary Ensemble. With a degree under his belt, Liam wants to help others in his position in the same way Unordinary Ensemble has helped him. “The way we have all grown to support each other while gaining in confidence has been remarkable. Katie and Lizzie have been marvellous, we could not have asked for better,” added Liam. More details on Magna Vitae community projects.